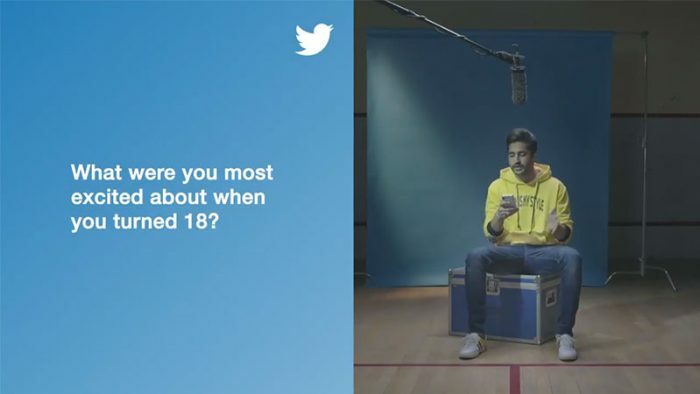 As part of #PowerOf18 initiative, Twitter is collaborating with renowned Indian personalities to encourage the youth of India to vote in the upcoming general elections. Aiming to leverage the live, public and conversational nature of the platform, Twitter is kickstarting the initiative with an online video series on @TwitterIndia, featuring young personalities across India. The first installment of the video series features singer Jassie Gill (@JassieGill), who talks about youth, politics, and change, and what #PowerOf18 means to him. Reminiscing about his younger days, Jassie Gill (@JassieGill) recalls being excited about obtaining his driver’s license when he turned 18. He feels that having access to a smartphone and internet has blessed the today’s youth with a superpower to find out what’s happening in the world. Blood donation being a cause close to him, he mentions the Twitter account (@BloodDonorsIN) that is helping millions of Indians and states there’s nothing bigger than saving someone’s life. Encouraging young people to express themselves on Twitter, he says that you can exchange information with the world as well as share your own feelings. His Twitter inspirations include cricketer Virat Kohli (@imVkohli) and comedian Zakir Khan (@Zakirism), as he feels they’ve made it on their own. On youth empowerment, Jassie Gill (@JassieGill) says that it is the youth that fuels the growth of a nation through fresh perspectives. Efforts should be put into good things and if the youth of India sets their minds, they can do great things and make their family, neighborhood and country very proud. When asked about his message to the youth of India, Jassie Gill (@JassieGill) was of the opinion that a lot of people complain about the government not being efficient, but the actual power is in the hands of the people. The youth needs to vote for people that they feel will be the best. The youth should be aware of their rights and come forward to join politics. Voting is the biggest power that should be used to make the country better. The power to determine India’s future is in the hands of the youth and they should vote for the future they seek. While Jassie Gill (@JassieGill) kicks off the initiative, Indian boxer Nikhat Zareen (@Nikhat_Zareen), writer, poet and #MeTooIndia voice Mahima Kukreja (@AGirlOfHerWords), will be sharing their inspirations and their view of #PowerOf18 in the next instalments of the #PowerOf18 video series.